Well-placed mirrors can do wonders! Apartment or townhome living doesn’t need to feel cramped. Placing a mirror near a window to reflect the outdoors is especially effective. Mirrors on the walls and glass tabletops will give your room a more open feel. 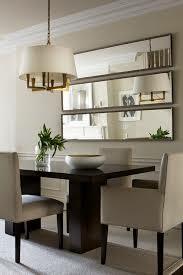 You can also use mirrored cabinet doors to make spaces feel larger. Our east-Wichita location is beautiful, spacious, and modern. Visit us for a personal tour! next post: We are Pet Friendly!